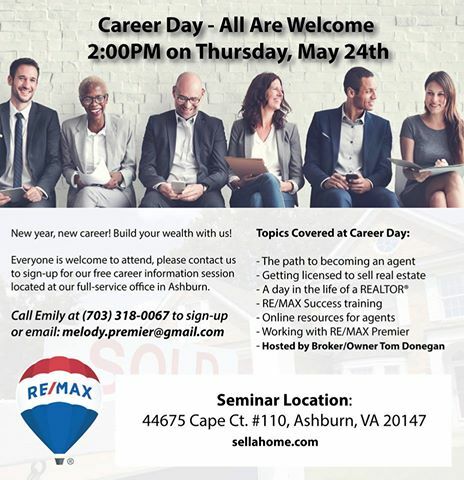 RE/MAX Premier - Career Day! May 24th from 2PM to 4PM at our Ashburn office. Contact Emily at 703.318.0067 to RSVP. All are welcome to attend this complimentary seminar.